“The army is behind Imran Khan”, said Makhdoom Javed Hashmi – one of Pakistan’s most celebrated politicians and a living saint to thousands of his followers. On September 2, Hashmi came out with startling revelations that Khan, the leader of the Pakistan Tehreek-e- Insaaf (PTI), was allegedly acting on the military’s behalf. The proclamation sent shockwaves across the country as the realisation set in that one of Pakistan’s most popular politicians’ is an army errand boy. Hashmi became an unlikely saviour for Prime Minister Nawaz Sharif and Pakistan’s deeply flawed democratic system, currently being challenged by Khan. Protests against the government have rocked the system, sending Nawaz Sharif to the Parliament more times in three weeks, than at any time during 14 months in office. In three years Javed Hashmi had gone from being Khan’s political trump-card to an outsider. Imran Khan’s tactics may be questionable, but his objectives are not. Khan’s sincerity in challenging a failed system has resonated with many. He is seen as standing up for millions of Pakistanis, as is the army; both considered on the right side of history by an increasingly conservative following. Hashmi’s assertions of hidden army hands behind Khan enforce a sense of pride for these Pakistanis, who yearn for an interventionist force to rid them of corruption and deliver a better more secure life. This saviour complex alludes to much more than aspirations as the army forms an essential survival net for millions of Pakistanis. The military’s three branches, directly and indirectly, represent an estimated five million households. 1.2million service-men and reservists serve in the forces, plus millions of others work in army foundations and industries, and are tied to the land and feudal system. As such, the armed forces represent a very powerful and influential constituency. The issue isn’t the support for Imran Khan within the armed forces. The problem is control of Khan by unseen forces that often hide in the army’s ranks. 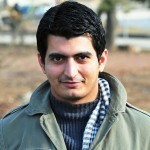 Khan’s protest movement is the result of a deep disconnect between the various powerbrokers, including those within the Pakistan armed forces and the general public. The civil-military elite of Pakistan have not kept up with the changing reality of their constituents, who are resentful of a broken system, which promises a lot but delivers little. People are fed-up with widespread corruption with the civilian as well as the military elite, of which Javed Hashmi too has been an integral part of. Hashmi’s word is law for followers spread across parts of his native Multan and southern Punjab, as is of former Prime Minister Syed Yousaf Raza Gilani and former Foreign Minister Shah Mehmood Qureshi. Though Hashmi is considered different because of his democratic credentials and his humility which ties him to the soil, this conscientiousness of an unbreakable link to the people has made Hashmi a radical in the eyes of the establishment. 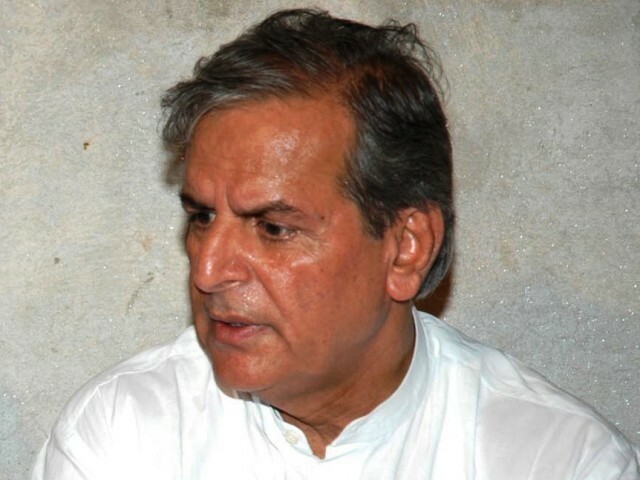 The politician from Punjab, Hashmi is a mythical figure in the folklore of Punjab politics. His book, Haan main baaghi hoon (Yes, I am a rebel), which he wrote in captivity tells of his struggle for democracy against former president General Pervez Musharraf’s dictatorship. He spent seven years in jail as the acting president of Pakistan Muslim League-Nawaz (PML-N), and is responsible for ‘saving’ the league amid desertions and betrayals. While politicians, such as Mushahid Hussain Syed, were co-opted by Musharraf to join the king’s party made of pro-military leaders, such as the Chaudhry brothers of Gujrat (also previously of the Nawaz group); Hashmi never bent and was incarcerated for it. Despite these sacrifices, Hashmi was forgotten by Nawaz Sharif after his return to Pakistan. Having spent years in exile in Saudi Arabia and in London, Sharif had made new friends and moulded stronger ties, far away from the dark prison cell Hashmi frequented. But Hashmi never lost his personal connection with the public and the persona of being a rebel. “Imran Khan, do not forget, I am a rebel” said Hashmi on joining Khan’s justice movement in December, 2011. “Hashmi is my gift to you” Imran Khan told thousands of followers packed in an open field that day in the city of Karachi. Hashmi was part of a political acquisitions blitz that Khan had initiated on the back of an impressive demonstration held in the city of Lahore in October, 2011. Khan reeled in many political heavy weights, including former Foreign Minister Shah Mahmood Qureshi. Qureshi, who is also a ‘patron saint’, challenged Hashmi for space within the leadership core. Their rivalry soon became a headache for Khan and defined the Justice Movement for some time. Hashmi won Khan all three seats he contested for during the 2013 general elections. He energised party followers with his principled stance and his call to conscience. A year later that energy has been buried under a difficult reality. Corruption cases and allegations against the government stand as testament to what went wrong. Mismanagement has fuelled calls for desperate activism to challenge the status quo; Hashmi has been a part of this demand too but has refused to pass a self-demarcated line. He has refused to accept the reality of the institutional forces interfering in politics. Because the issue for Hashmi isn’t of influential involvement in politics; it is how these operate a flawed system behind a veil of unaccountability. The problem then isn’t of representation; it is of intrigue, driven by fear of hidden hands handling the elected leaders from the shadows. Electoral reforms threaten to shed light on these hidden faces. Khan’s challenge to the state quo is a warning to both civilian and military stakeholders. Issues, such as electoral delamination driven by a non-political census, will change the political map of Pakistan and take privileges away from the once powerful rural elites to a more representative urban centre. The military and its landholding allies, which are part of the political dispensation, will be made more accountable through such reforms. If Imran Khan and Makhdoom Javed Hashmi are alone today it is because they have challenged the status quo maintained by ruling elites. They may find themselves at a crossroads on divergent paths, but at the core of their journey lies a quest for justice and a system which works for the people, not just the elite. And this is at the heart of both their struggles. if people think that Pakistan has ever had democracy then they must be living in fools paradise. muk mukao is NOT democracy! On the very next day, Mr. Hashimi said in an Express interview with Javed Chaurdhry that the “army was NOT behind Imran Khan”… flip. flop. flip. flop.